IRVINE, Calif.--(BUSINESS WIRE)--NextGen Healthcare, Inc. (NASDAQ:NXGN), the leading provider of ambulatory-only technology solutions, today announced it has been ranked, #1 for Practice Management (11-75 Physicians) in the 2019 Best in KLAS: Software and Services Report. NextGen Healthcare provides a range of software, services and analytics solutions to medical and dental group practices. The company's portfolio delivers foundational capabilities to empower physician success, enrich the patient care experience and enable the transition to value-based healthcare. Visit www.nextgen.com for additional information. KLAS is a data-driven company on a mission to improve the world's healthcare by enabling provider and payer voices to be heard and counted. 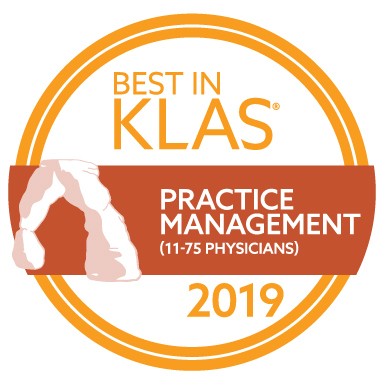 Working with thousands of healthcare professionals, KLAS collects insights on software, services and medical equipment to deliver reports, trending data and statistical overviews. KLAS data is accurate, honest and impartial. The research directly reflects the voice of healthcare professionals and acts as a catalyst for improving vendor performance. To learn more about KLAS and its insights, visit www.KLASresearch.com.